Freespire contains no malware. This includes no object code that transmits your personal information and no surveys for any monetary gain. If you find any inappropriate behavior contact us below. freespire like all other Linux distributions is manufactured by a small group of developers. When you donate to the freespire Project you are helping us pay for server space, domains, replacing aging equipment. You can donate from $2.00 to as much as you wish to donate. The Freespire Operating System is the open source and free as in beer release of the commercial Linspire operating system. 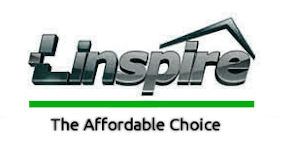 It contains many of the same software packages as Linspire with the exception of the software that requires us to purchase a license to redistribute. You are free to redistribute Freespire as you wish. You are free to redistribute Freespire as you wish and charge what you wish for your time and to recover your costs. We only ask that you make it clear to your customers that if any support is offered that YOU are responsible for that support.